Biloxi, Mississippi (July 16, 2014) – COMVEST Properties, LLC, through an affiliated family owned real estate limited partnership, recently closed on two shopping center properties in a dual 1031Exchange with a total asset value of $9.65 million. Mountain View Marketplace, Hickory, North Carolina, a 54,627 SF shopping center anchored by a 41,127 SF Lowes Foods, is the first grocery anchored center commuters encounter when they travel into Mountain View from Hwy 321. Built in 2005, the center offers a seasoned tenant mix with 5,100 SF of vacant space remaining. COMVEST was represented in the transaction by Andy Misiaveg and Greg Dobur of the Shopping Center Group, LLC (Charlotte, NC). The seller, Weathersbee Properties, LLC (Charlotte, NC), was represented by Rob Carter, Alex Quarrier, and David Webb of Berkeley Capital Advisors, LLC (Charlotte, NC). The project was financed by Protective Life Insurance Company. 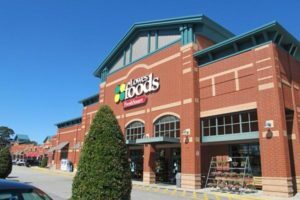 Molly Prince, of The Shopping Center Group, will serve as leasing agent for the available space. Governor’s Point Center, Tallahassee, Florida, 2.06 acres located on Apalachee Parkway as an out parcel to a Target –anchored center. Built in 2013 the 22,672 SF center is home to the largest West Marine location in the Big Bend area which opened in May of 2013. Rack Room Shoes opened in October of 2013. COMVEST was represented in the transaction by Henree Martin or Developers Realty and Investment Properties, Inc. 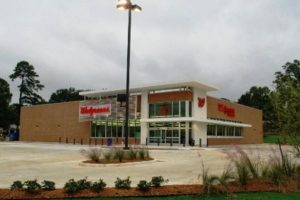 The seller, Tallahassee Holding, Inc., was represented by Lior Regenstreif of Marcus & Millichap. The purchase was financed by Darney Derouen of Coast Community Bank (Biloxi, Mississippi). Bill Powell, with Tallahassee Land Management, will serve as the local asset manager. 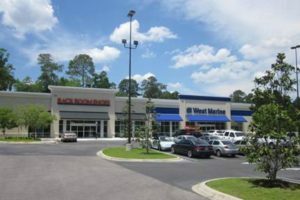 “The acquisitions of Mountain View Marketplace, in Hickory, North Carolina and Governor’s Point, in Tallahassee, Florida, are part of the continued commitment by COMVEST Properties to expand our portfolio throughout the southeast United States,” said Brooks Holstein, founder and managing member, COMVEST Properties, LLC.